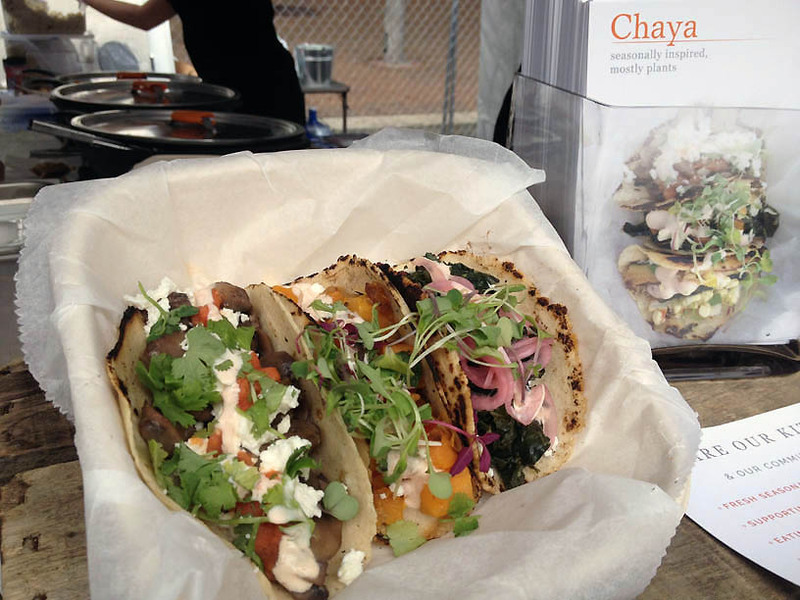 A roasted winter squash taco with chili, queso and mint, from Chaya, a farmers market stand that sells tacos that are “seasonally inspired, mostly plants.” If I lived in DC, this would surely become a favorite option. The mango lassi from Spice 6 in Hyattsville was one of the best I’ve ever had, less sweet than what’s served at most Indian restaurants and spiced with warming chai flavors, like cinnamon and cloves. 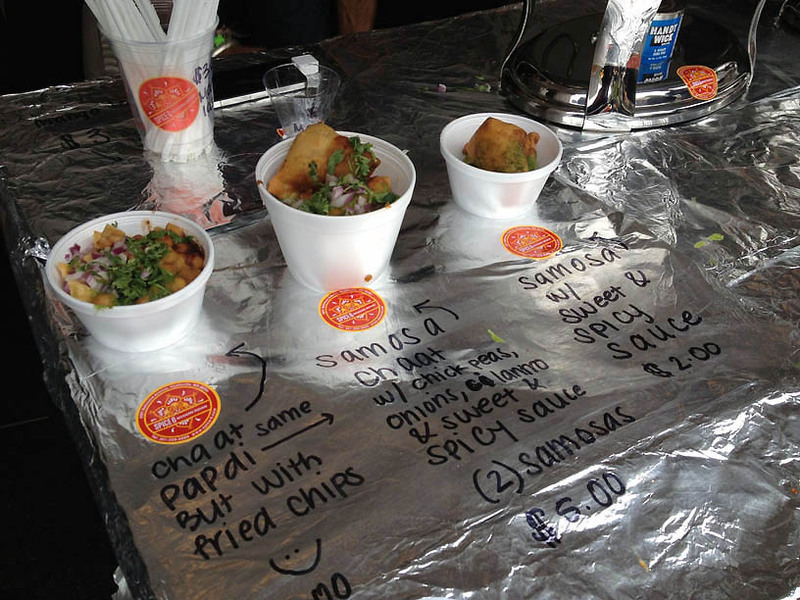 The samosa chaat bowl featured two samosas, with an aromatic mix of chickpeas, onions, cilantro and sauce as well. If I lived closer, I’d want to eat here, and frequently. 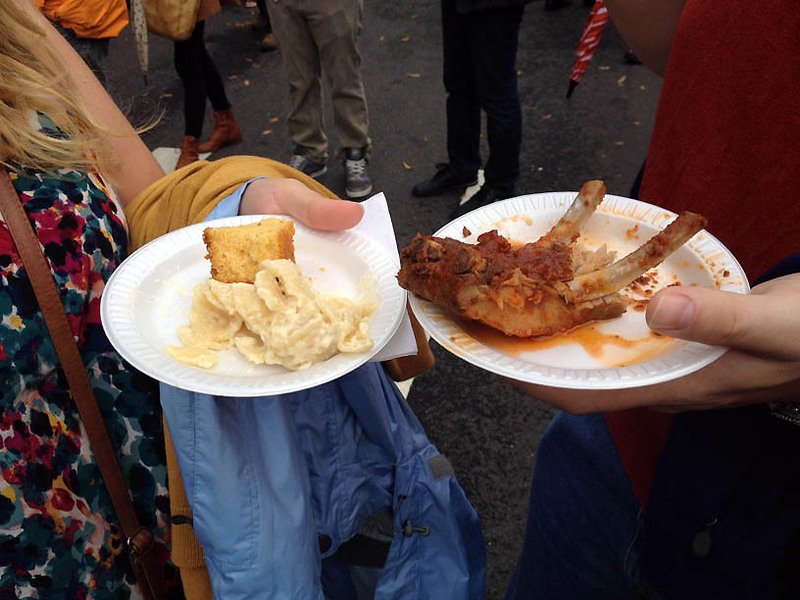 Smoked gouda macaroni and cheese with awesome cornbread, plus ribs, from Ulah Bistro. 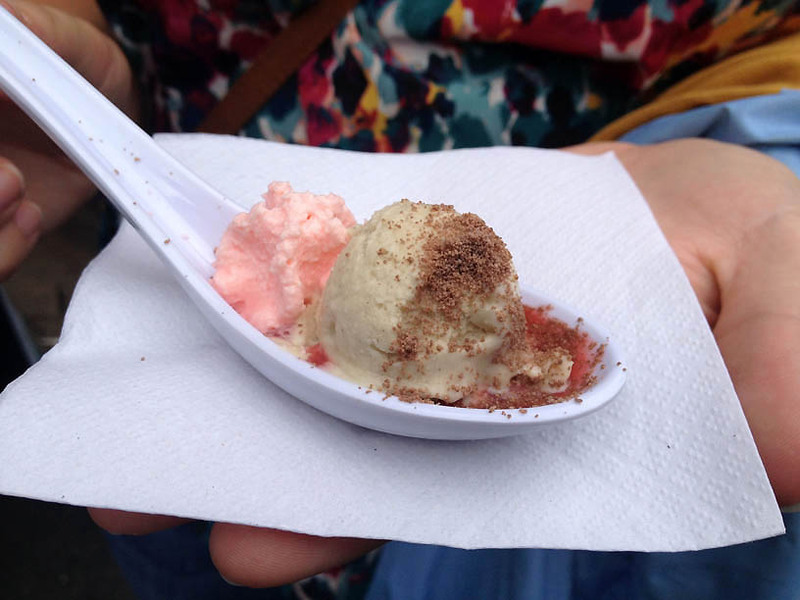 After Emma and I paid for our sample-sized “deconstructed sundae” with brown sage banana ice cream, strawberry puree and nutella powder, we saw that the full size was about five times as large–and just $2 mores. 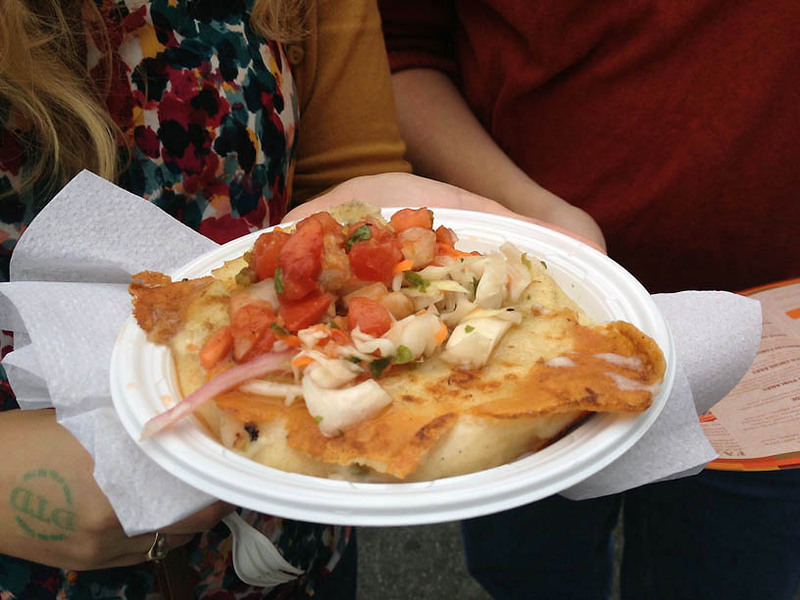 The queso and loroco pupusa from El Tamarindo had hints of okra because of the loroco flour, special to Central America. Topped with a slaw and salsa, this was also a winning choice. We also tried fried plaintains, freshly made guacamole with paper thin tortilla chips from Guacamole Bar, a mini Irish car bomb cupcake from Crunkcakes. Chris and Emma also tasted a few sliders. 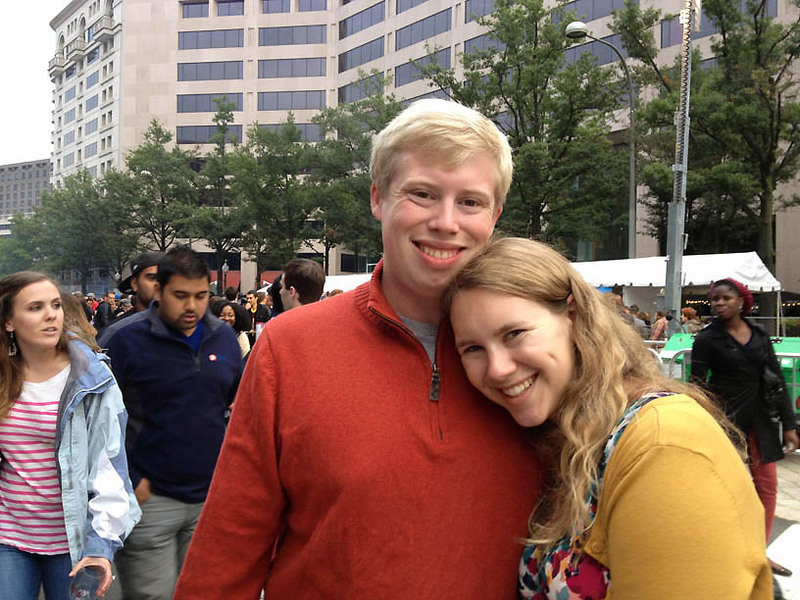 The longest line was at a central beverage tent–but once Chris made it to the front, he learned that the craft beers were actually on another block. A fortunate lesson indeed, for there we sampled beers from Hawaii and Munich, Iowa and Virginia, Pennsylvania and California–pretty much everywhere. Twenty-five tickets could be purchased for $20, and somehow, because of one keg that filled a sample cup with foam, we ended up with two free full foam-free beers. My two favorite brews–the Slingshot, a German dark lager, and the Penny Whistle, a wheat–came from Backpocket Brewing in Iowa. 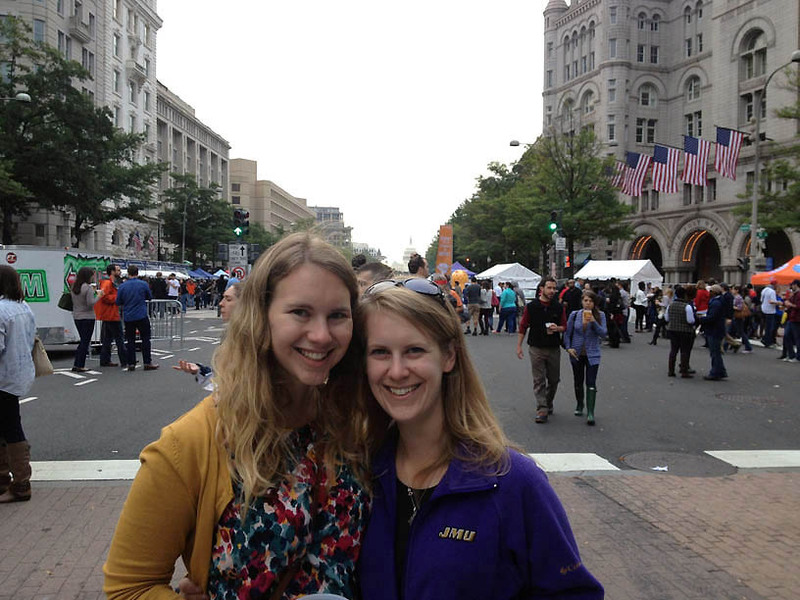 This was perhaps the only stand manned by an employee from the brewery; volunteers were stationed at most kegs. Better signage directing visitors to the beer garden, along with labels on what types of brews were available from each company, would would be a much-appreciated improvement for future festivals. 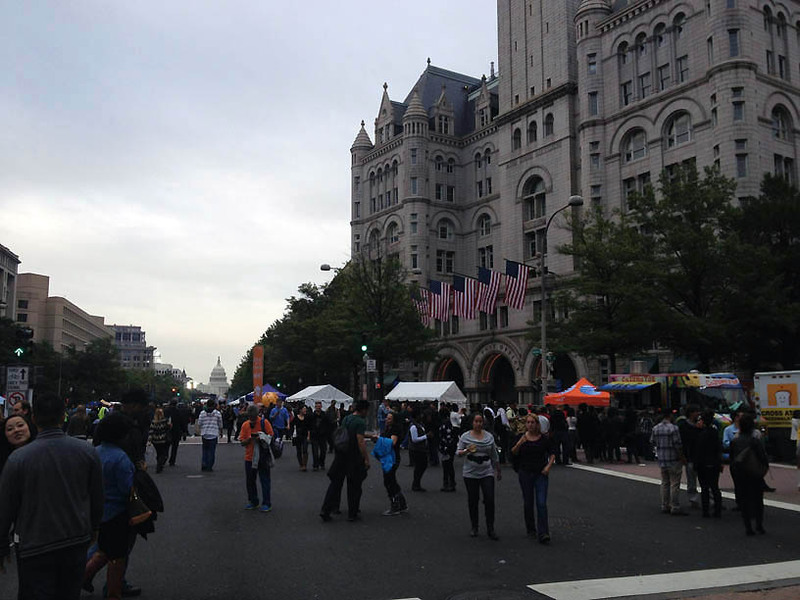 Rain or shine though, Taste of DC made for an enjoyable Saturday afternoon.